There was never going to be a way for Machine Head to get out of this one easily. Given how outspoken Robb Flynn is on the controversies and drama in the metal world, plus a clear distaste for the curren political climate in the US, it was only going to be a matter of time before those issues were addressed in his music with the rest of Machine Head in tow. And while the left-leaning lyrics have been the source of much derision from the opposite side of the political spectrum, the main source of concern has been the belief that Catharsis would see the band returning the nu-metal tones that negatively coloured 1999’s The Burning Red for so many. It looked as though Catharsis would be 2018’s equivalent of Suicide Silence’s self-titled album, with a harsh sonic shift that would rend the fanbase apart, and would see the band retaliate with as much scorn as they would deem necessary. And while that might be a comparison that sets so many on edge, it’s probably the most pertinent that can be offered. It’s definitely the most diverse album Machine Head have perhaps ever produced, and a truly fascinating album to delve into, if only to see what the band’s intentions were and how far they take them. But whereas that was the most emphatic positive that could be attributed to Suicide Silence, Catharsis actually has moments of real quality that seem to have been handily ignored by the critical firestorm that’s engulfed it, and while it is a critically flawed album, the flogging that it’s been getting feels totally unjustified overall. Because yes, while the ferocity of these complaints is difficult to contemplate, that’s not to deny the existence of them entirely. For one, this is definitely not as technical or heavy as most are used to from Machine Head, and even taking into account the nu-metal bent that Catharsis embraces, the acoustic meanderings of Behind A Mask and the boozy folk-punk of Bastards stray even further away from the default Machine Head settings. What’s more, anyone would think they were totally disastrous given the reception, but they’re at least adequate, even if the stretched-to-straining Heavy Lies The Crown heralds the album beginning to slightly lose its way. There are shades of Slipknot in the thicker hammering of tracks like Volatile and Psychotic that hit the spot of anger in a much more forceful fashion, and California Bleeding and Kaleidoscope manage to incorporate more overtly modern metal tones in an effective way. As for the lyrics, it’s a lot easier to see where the ire is coming from here, and not even from how from the left Flynn is coming from in terms of his views. Tracks like Hope Begets Hope and Screaming At The Sun aren’t particularly distinct in the language or socio-political rhetoric they use, and while Bastards‘ angle of reclaiming the slurs thrown at those on the left comes from a good place, it’s incredibly clumsy in the execution. But when viewed from the perspective of this representing the catharsis of the album’s title as a burst of off-the-cuff rage to get those emotions on wax, the relative simplicity begins to piece together more effectively. A song like Triple Beam adopts a King 810-esque style for exactly that reason, as well a lyrical direction focusing on the danger in poorer areas that inequitable societies and gentrification cause, and when the opposite side is examined later on Razorblade Smile, a tribute to Motörhead’s Lemmy that could also be framed as a satirisation of the debauched high life that couldn’t care less about what’s going on below it, Machine Head open up the possibilities of deeper interpretation than what they’ve been given credit for. It still isn’t anything revelatory, but it’s at least a possibility that’s been ignored by so many who’ve been more than happy to go “Machine Head made a nu-metal album; let’s hate it” and little else. And while this all may come across as more of a defence of Machine Head than a critique of the album at hand, it’s worth deconstructing such criticisms to find what’s actually inside them. 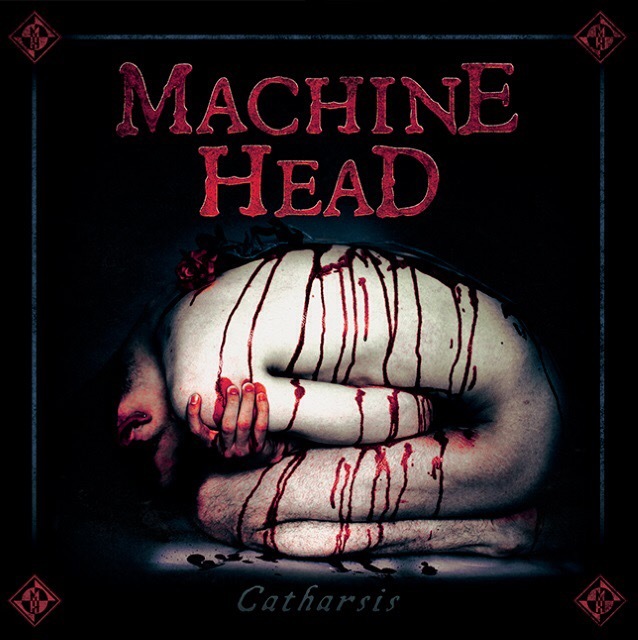 In this case, the main aims of Catharsis seem to have been overlooked in favour of giving into the controversy that Machine Head have ultimately cultivated for themselves. It’s another contradiction to add to the many that Catharsis already has, and even if they don’t all thread together to make a cohesive whole, the end product is worth decoding nonetheless, if only to work out where Machine Head are actually going with all of this. And even if it isn’t the shining light in Machine Head’s catalogue, it’s getting a discussion going, something that’s arguably more valuable than whatever accolades can be offered to it. ‘Catharsis’ by Machine Head is out now on Nuclear Blast. Previous Post ALBUM REVIEW: ‘The Golden Age Of Not Even Trying’ by Dead!